Wine pairing is one of those things that can be quite difficult to get right - balancing the flavors of wine with the ingredients served on a plate is not as easy as it may seem. Luckily for you there's lots of resources available to help. 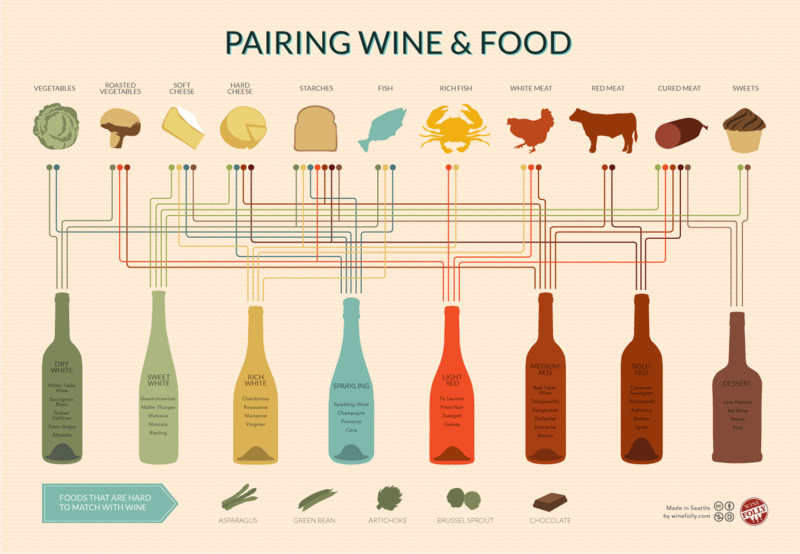 Like this infographic from WIne Folly which helps identify some of the foods that are most tricky to match well with wine. It's full of great little tips that will have you matching wines like a sommelier in no time at all. Got some roasted vegetables on the table? Why not try a sweet white like Moscato. Cooking some rich fish? You may be best to go with a light red, maybe a Pinot Noir.